Create your own set New! 32 brass and wood chess made of handmade metal and finished with gold and silver bath. 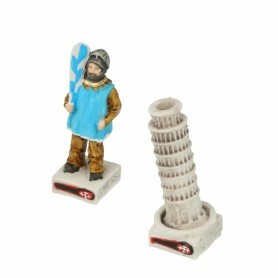 King height 5,12" base diameter 1,77" (King height 13 cm base diameter 4.5 cm). The images could be different from the product for some details (colour, size, ...) because all our goods are handmade by our craftsmen. It means that there could be a difference in the final size of the product, with a tolerance of 10% in consideration of the specified size. 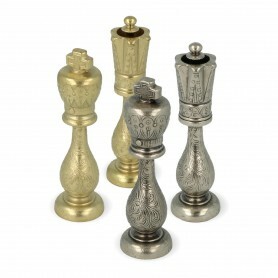 Handmade metal chess pieces made of brass and hornbeam wood with external gold and silver bath. 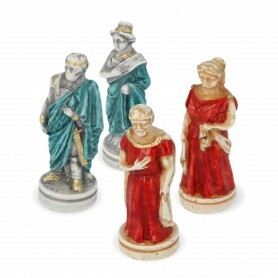 The most precious chess game that we currently offer you on our e-commerce: each piece consists of 5 hand-made parts that form the chess piece. 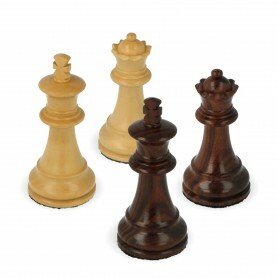 Both the wood and the metal are first worked separately and then assembled to form the 32 chess pieces, inserted in a central screw welded on the base. Elegant, refined pieces of intrinsic value both for the materials used and for the manufacture. The base has passed into the gold and silver patina and is the only part that is the same for all the pieces together with the wooden part resting on top. The rest of each chess piece is different depending on the pieces, and like every game the highest part shows the characteristics that distinguish one piece from the others and define its role on the chessboard: the King the Queen, the bishop, the Horse, the tower and the pawn. 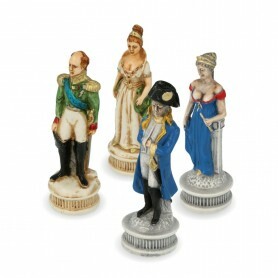 A piece suitable for refined connoisseurs and lovers of precious objects of furniture.